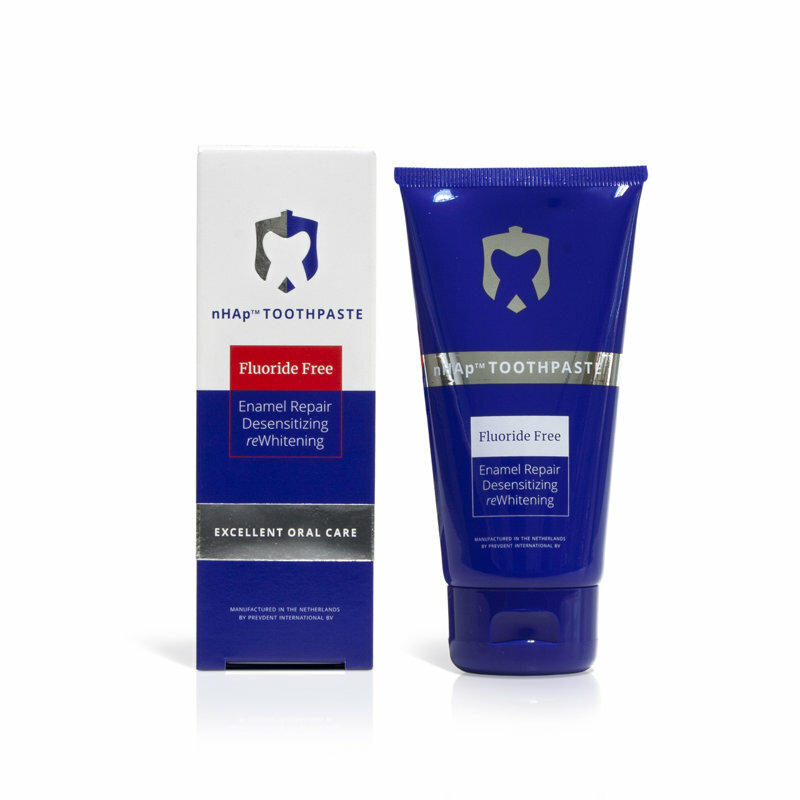 Toothpaste contains nano-sized particles of hydroxyapatite nHAp ™ and xylitol. Systematic use of nHAp™ paste ensures the initial loss of caries and prevents the emergence of new lesions, and maintains excellent oral health. nHAp ™ reduces tooth sensitivity by preventing the causes of it. The paste contains no fluoride and is no abrasive. 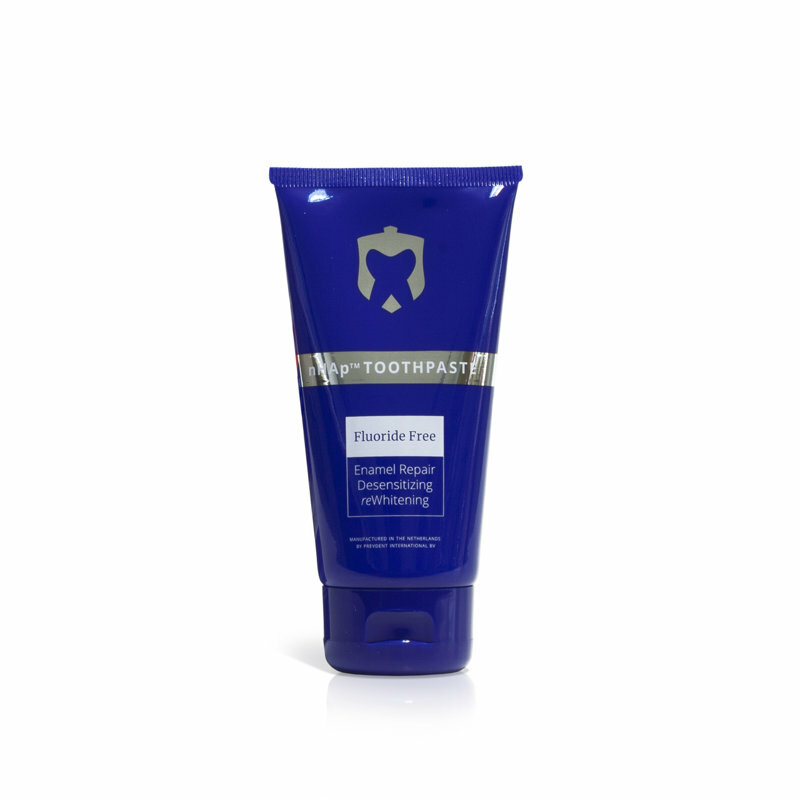 Feel the difference immediately after the use of the paste - it is a cleaner and smoother tooth surface. Recover your healthy and naturally white smile. Adults and children 2 years and older. Apply pea-sized amount Toothpaste PrevDent nHAp onto a soft bristle toothbrush. Brush thoroughly, or at least two minutes after meals or at least twice a day or as directed by a dentist or physician.